For big-screen movie company IMAX, the past several weeks must have seemed like the best of times and the worst of times. In the 13 years since Richard Gelfond and Bradley Wechsler, who share the titles of chairman and CEO, purchased the company from its Canadian founders, they have transformed IMAX from an attraction at museums and tourist locations into a network of theaters showing Hollywood blockbusters. The July 11 opening of Harry Potter and the Order of the Phoenix was the largest and most successful in IMAX history, with the IMAX version of the film setting a new single-day box office record and contributing $7.3 million of the movie’s $140 million domestic gross from July 11 through the weekend ending July 15. Yet despite the record box office, the company’s stock price remained moribund as it delayed its financial filings to restate its revenue recognition for the years 2002-2005 and responded to an informal inquiry from the Securities and Exchange Commission. But this was not the first challenge Gelfond and Wechsler had faced at the helm of IMAX. A native New Yorker raised in Plainview, Long Island, Gelfond graduated from the State University of New York at Stony Brook with a degree in political science in 1976 and then received a law degree from Northwestern University in 1979. After clerking for Judge Max Rosenn in the U.S. Court of Appeals for the Third Circuit, Gelfond joined the law firm of Cleary Gottlieb Steen & Hamilton, focusing on mergers and acquisitions and risk arbitrage advice. But Gelfond was, in his own words, “born an entrepreneur” who “kind of detoured into law school.” Even though he loved business, Gelfond observed that, “If you grew up middle class on Long Island, the message was that [being a] doctor or lawyer was a legitimate way to make a living; [being a] businessman wasn’t.” In 1986 Gelfond finally followed the call of his entrepreneurial spirit and founded Clean Street USA, a chain of dry-cleaning stores he eventually sold to a subsidiary of Colgate-Palmolive. 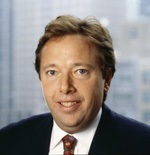 In 1988, he joined Drexel Burnham Lambert where he met future partner Wechsler. After Drexel declared bankruptcy in 1990, Gelfond and Wechsler went out on their own to form Cheviot Capital Advisors, a financial advisory and merchant banking firm specializing in acquisitions and venture capital investments. In March 1994, Gelfond and Wechsler — along with investment banking firm Wasserstein Perella — closed the deal to purchase IMAX from its five original founders and took it public three months later. In less than a decade, the two had transformed the company into a big-screen provider of major Hollywood releases. But it wasn’t always easy going. Seven years after their purchase, IMAX faced a financial crisis that nearly bankrupted the company. Following a spate of over-development of multiplex screens in the 1990s and 2000, the movie theater industry suffered a downturn. Several major theater chains fell into bankruptcy, affecting IMAX’s ability to collect payments for current and planned installations and creating a liquidity crisis for the company. IMAX stock fell to a low of less than 59 cents in September 2001. Gelfond and Wechsler successfully navigated the company through that crisis and positioned IMAX to further expand its distribution channels. Today, the company’s network of specially designed venues equipped to show IMAX movies includes more than 280 theaters in 40 countries. Gelfond and Wechsler have also proven adept at making deals with Hollywood studios to convert major motion pictures into the IMAX format through a patented process developed by the company. In so doing, they provide a stream of profitable content for theaters leasing the company’s projection and sound systems. In addition, the company has had box office success showing 3-D versions of Hollywood movies such as Polar Express. And on the horizon is a planned shift from film to a digital system which will reduce the costs of distributing the company’s productions and help its planned expansion into emerging economies. Knowledge@Wharton recently spoke with the 52-year-old Gelfond at IMAX’s corporate headquarters in New York to discuss the company’s business model and plans for the future. An edited version of that conversation follows. Knowledge@Wharton: Many people have heard of your company, but they may not know exactly what you do. What aspects of the production, distribution and presentation of IMAX films do you control? Gelfond: That’s a good question, because there’s not one answer. What we’ve tried to do is create a network and collect a toll in as many places of that network as we can. Our basic business is: We license our theater technology to third parties for an up-front payment and a relatively small royalty. So with the Sony Theater here in New York at Lincoln Square, [for example,] we got an up-front payment for the system, and we get something like 3% of the box office on an ongoing basis. A second part of the revenue stream is on the film side, where we convert Hollywood movies. We pay a fixed cost to convert them, and then we get a percentage of the box office when the film is playing across our network. Again, using New York as an example, when Spider-Man  is playing, we get 12.5% percent of the IMAX box office from the studio — in this case, Sony — plus the percentage we’re getting from the theater operator, which [in this case] is AMC. We also do original production; we make our own movies, typically with sponsorship and partners. In those [cases], we get a larger percentage of the film side, but we obviously have a larger cost in terms of making the negative and films. Then we have other pieces. We have a post-production area, which is a fee-based business, and we provide maintenance for the theaters — another fee-based business. So think of it as a network, where you get pieces in as many places as you can. The closest analogy to where we are going is HBO. HBO built a network of subscribers. Each incremental subscriber they added became almost all margin because of the fixed cost of content. IMAX is close to the tipping point, where the films we’re putting through are somewhat profitable, but each new theater we add is almost completely incremental profit. As we grow the network, we get a bigger piece from each of the studios of the films we’re showing, as well as our piece from the theaters. Knowledge@Wharton: The IMAX theaters that people visit are not owned by you? Are they franchises or wholly owned properties of third parties? Gelfond: We have a direct economic interest in about 10 of them. Other than that, they’re almost all licensed, which means that the third party leases the equipment from us. They own the land, they own the building and they lease the equipment [from us] for an up-front fee and a royalty. Knowledge@Wharton: The equipment they lease consists of the projection equipment and sound system? Gelfond: Yes. But it’s [also] the trademark and a lot of little things. Knowledge@Wharton: You don’t control what they show in the theaters — you just provide content that they can show? Gelfond: That’s partially correct. They make their programming decisions, but in many of the contracts, if we convert a Hollywood film, they’re required to show that film for a period of time. Knowledge@Wharton: Since they have the option to show other films as well, does it harm your brand when a 35mm print is shown in an IMAX theater, as was the case with Star Wars Episode III: Revenge of the Sith? Gelfond: They’re only allowed to do that when we don’t have films available, and that hasn’t been an issue for the last few years. Last year we had seven or eight films, and this year we’ll have six or seven films. So most of the year will be covered. But rather than the theater going dark, they’re allowed to show something else. Knowledge@Wharton: IMAX debuted in the early 1970s, which is also the period that saw the rise of multiplex and megaplex theaters. When the screens in most theaters were getting smaller, IMAX went big. Why did IMAX succeed when most operators were downsizing theaters to stay profitable? Gelfond: Well, to confess, I wasn’t there in the beginning. But what happened was: IMAX started in museums and science centers. In a way, both the films and the theaters were subsidized capital. For the museums that built them — like the Smithsonian or the Deutsches Museum — it was based more on philanthropy than IRR [internal rate of return]. And a lot of the films were funded by the National Science Foundation or different corporate sponsors [such as] Lockheed, [which] did a lot of the space films. So you have a very small network built from philanthropic or corporate capital. When we acquired the company in 1994, [we] had a base of 90 theaters. We looked at a model where you could go more commercial and get a return back on capital, both on the film side and the theater side. So, in a way, we transformed it from a subsidized capital, almost public-service enterprise into a financially profitable enterprise. Knowledge@Wharton: How did that happen? Gelfond: The change happened in two stages. We saw that some of the commercial locations, like at Caesar’s Palace in Las Vegas or the Grand Canyon, were generating really strong numbers. And we saw what could be a commercial enterprise. First, we developed a system for a multiplex and started making crossover films. In other words, rather than making films about bears, we made films about dinosaurs, and dinosaurs chasing people, so they could cross over to the commercial theaters and you could amortize the cost of the film over the network. That was phase one — building IMAX theaters in multiplexes and crossover films — and that met with moderate success. The cost of capital was so high that it only really worked in high traffic locations. Phase two started in about 2002 or 2003, when we shrunk the IMAX system so it could fit in a multiplex. The cost of getting into the IMAX business, including the building, went from $5 million or $4 million to $1.5 million. Also, instead of having to pay the cost to make original films, we figured out the technology to convert Hollywood films. So, instead of spending $10 million in films, you only needed to spend a couple million dollars, plus prints, to convert the film. We became much more plug-and-play. We were [originally] trying to get exhibitors and Hollywood into the IMAX business by saying, “Do it our way.” But we transitioned by developing a system that fit in the multiplex and [a process] that converted a Hollywood film. So we did it their way. That enabled the theaters to get into the business at a much lower cost and generate higher revenues, because instead of showing a dinosaur film, they were showing Harry Potter or Spider-Man or Superman. Putting it in the simplest business terms, we lowered the cost and increased the revenues. That has gotten us to where we are today, which is a much more solid business model. Knowledge@Wharton: When you talk about shrinking the IMAX system, what parts of the system are you referring to? Gelfond: The whole system, really. You used to have to build a separate building that was up to eight stories high with a separate projection booth and a separate staff. We figured out that [the IMAX experience] was really a question of the relationship of the viewer to the seats. The box didn’t have to be as big if it was designed in a certain way. We re-engineered the system so an IMAX theater can go into certain existing multiplex screens. You don’t have to construct a separate theater. For example, in White Plains, New York, you could go to an IMAX theater that used to be a 35mm theater. And if you ask customers about the experience, their satisfaction level is every bit as [high] as going into the eight-story Sony screen in New York City at Lincoln Square. We developed a lot of proprietary technology to do that. We also enabled the projector to sit in the common booth in the multiplex so you didn’t need separate projectionists. The cost of maintenance went down. The cost of labor went down. And that’s why, as I said before, rather than making exhibitors go into the IMAX business, we went into their business. Knowledge@Wharton: So some of these screens are smaller than those of first-generation IMAX theaters? Knowledge@Wharton: Since many people equate IMAX with the size of the screen, when the audience is in a retrofitted 35mm theater, what’s different about the IMAX experience versus 35mm projection technology? Gelfond: [With IMAX], the screen still goes to the edge of your peripheral vision. The image goes all the way from floor to ceiling, wall to wall. The screen has special paint on it, so it’s brighter. The sound system is 12,000 watts. No seat is more than one screen-width away from the screen. So you feel like you’re inside the movie. We did extensive testing before we did this. If you looked at the financial performance of many of these theaters on a per-seat basis, it’s similar to the six-story IMAX. Vision is a question of perception inside an environment. We created the perception of that immersiveness in a smaller environment. As long as your relationship to the screen is similar, your perception of the experience will be similar. Knowledge@Wharton: With an IMAX film, isn’t the audience also seeing a different quality film stock? Gelfond: Yes. That’s a good point. The IMAX film frame is 10 times the size of the 35mm film frame. Film is just an image capture mechanism, and our film frame has 10 times the data that an ordinary film frame does. That’s one reason you get the brightness, the resolution, the colors and everything else that’s special about it. Knowledge@Wharton: You’re co-CEO and co-chairman of the company. That’s a somewhat unusual situation. How did this come about, and how do you and the other chairman/CEO split the responsibilities of running the company? Gelfond: We originally bought the company as investors, not intending to run it day-to-day. We hired someone to run it, [but] early on we discovered that our particular blend of skills was probably the right thing for this company. Brad and I approach problems in almost completely opposite ways, and truth comes out by smashing [those two views together]. We don’t always agree, but we break ties by who is more passionate and who can articulate it better. I can’t think of more than two or three times in over a dozen years that we’ve really had a drawn out disagreement on anything. In terms of breaking out responsibilities, it’s completely informal, but almost completely non-duplicative. In some instances, Brad will be more involved with film, but I oversee much of our original production and some of our studio relationships. I will be more involved in the theater end of the business at times, but Brad quarterbacks some of our leading theater relationships. So it’s extremely informal, but virtually seamless. I think the reason it works is this: We share a secretary, our offices are next door to each other, we read every email each one of us gets and we communicate with each other extremely well. We don’t have a president/COO, so we frequently get the question, “Isn’t that a lot of SG&A [selling, general and administrative expenses] for a small company?” But one of our challenges is that, for a small business, IMAX is fairly complicated. We are in a lot of things. So it works. The movie business is one of the few places where this structure isn’t uncommon. What used to be Miramax — and is now the Weinstein Company — you see Harvey and Bob [Weinstein]. At Warner you see Barry Meyer and Alan Horn; it used to be [Terry] Semel and [Robert] Daly. So, for whatever reason, it seems to be a business that is more prone to this. Knowledge@Wharton: What was one of the times when you did have a disagreement with your partner? Gelfond: I don’t want to imply that we don’t disagree, but we resolve it at the end of the day. Brad likes to say that I see the glass as half full and he sees the cracks. So, the philosophical differences would tend to be where I would say, “Let’s go for something,” and Brad would say, “What’s the payoff in the short run?” Those are dialogues that happen on almost a daily basis. Knowledge@Wharton: What’s the biggest competitive threat to what you do? Gelfond: The biggest competitive threat is the promise of the next great thing. The movie business has had very little change over a long period of time, and people are always looking for a cheap magic bullet. Right now the cheap magic bullet is digital 3-D. That’s the answer to everyone’s prayers [until] you look at the numbers of IMAX 3-D versus digital 3-D. For example, we [generated more revenue] per screen on Polar Express — one movie — than digital 3-D has done in every movie they have done combined. So we are always fighting some new idea. A year ago I would have told you that it was a more serious competitive threat because the promise of it was more threatening than the reality of the numbers it was going to deliver. We’ve seen this before. Years ago there was a company called iWorks — which, I think, has since gone bankrupt — that was going to deliver the same experience [as IMAX] at half the price. That hurt our business for a period of time. There is no direct competitor, but these things come up from time to time. And there will be someone else with the next great thing and we will have to fight that perception for a while. Knowledge@Wharton: The rise of home theater is drawing away the audience from a lot of theatrical presentation venues. Although IMAX is clearly differentiated from the home theater experience, is there still concern that changing audience habits will drain your audience as well? If people aren’t going out, they aren’t going out to see anything. Is that a concern? Gelfond: We think that the changes in in-home habits actually help us, and that is one of our selling points. It is interesting to look at the percentage of the box office we’ve been capturing. With a typical release of a Hollywood film in IMAX and 35mm at the same time, we’ll be on less than 1% of the screens, and usually we’ll start with 5% of the box office. Towards the end of the run we will be more like 10% of the box office. We and the studios have done a lot of work on whether you are just moving people from box to box, or whether the audience is incremental. There is compelling evidence that it is incremental. Part of that comes from the fact that our ticket prices are $3 more — that’s obviously incremental. But the rest comes from the fact that we believe we are bringing in people who would otherwise wait to see [the movie] on DVD or on video-on-demand. Because unless you are a sultan or a Saudi prince, it is very difficult for you to replicate the IMAX experience in your home. I have a home theater myself. I don’t go out to the movies that much because the experience isn’t that differentiated. Still, when you go to the IMAX theater, it is a unique experience. It’s nothing like you can get [at home]. So, I think it helps us. As for the future, cinema will continue to evolve in different ways. I think 3-D is one of the ways people are trying to create a differentiated experience from the home. Knowledge@Wharton: You’ve mentioned 3-D couple of times. Jeffrey Katzenberg was recently quoted as saying that 3-D is “the biggest technology advance since the arrival of color.” Would you agree? Gelfond: I think some of what Jeffrey says is true. I think 3-D is an important innovation and is going to play a big role in the future of movies. In general, though, there is no magic bullet. It depends, to a great extent, on the particular movie and whether it is adaptable to 3-D. Hollywood has a history of: If a tornado movie works, tornado movies are the greatest thing. I think we are a little bit carried away with that right now. When we did Polar Express, we did about one third of the U.S. box office on less than 1% of the screens. To put it in context, the first year we did $45 million on 83 screens — which is an incredible number in the history of movies. The 3-D made that big of a difference because Polar Express was a very immersive film. It really felt like the snow was falling around you. We did several subsequent movies — notably Ant Bully and Open Season — which were good movies and they did much bigger box office in IMAX than they did in 35mm, but they didn’t capture audiences the same way. For example, in the case of Ant Bully, I think people weren’t anxious to go into the world of the ant. It was not the same kind of allure. Another example would be Superman [Returns]; we did a half hour of Superman [Returns] in 3-D. That did fantastic in IMAX because you could fly with Superman. In Harry Potter [and the Order of the Phoenix], the last 20 minutes are in 3-D. I think it is the kind of franchise that lends itself to 3-D.
It’s the movie business; there will be winners and losers. Some films will work and some won’t. I don’t think you could take paint drying on a wall, turn it into 3-D and say it’s a great movie. It will shake out over time. Knowledge@Wharton: You also mentioned the digital 3-D process. How is that different from IMAX 3-D? Gelfond: There is a trend in the industry where digital technology is replacing film technology. They have been able to take a digital projector and put a fairly inexpensive device on it and turn the image into 3-D. They’ve shown about five or six films that way — Disney did Chicken Little and Meet the Robinsons. The idea is that you can have a fairly widespread network at a fairly low cost using this technology. That’s the plan, and the plan is starting to happen. I think it’s probably good for the business; it’s good for multiplexes. But, at the end of the day, just like IMAX is really different than 2-D, IMAX 3-D is really different than digital 3-D.
Because of the laws of physics, in most of the digital 3-D theaters, the action takes place behind the screen; it’s 3-D, but it looks like you’re watching something out your living room window. In IMAX, most of the action takes place in front of the screen, in the environment you’re sitting in. So you see kids reaching out and grabbing things. That’s why I’m quite confident that, although digital 3-D has a place, people will seek out IMAX 3-D as something special. Now, IMAX is in the process of developing a digital IMAX system that, instead of working with 70mm film frames 10 times the size of 35mm, our whole technology will be in the digital world. And we’re fairly far along in that development. I’ve seen a prototype. We’re going to start to show customers prototypes in the next couple months. We’re aiming to launch it in January 2009. Knowledge@Wharton: This will require different equipment in the theaters to project a movie from digital data rather than projecting it optically from a strip of film? Gelfond: Exactly. It’ll also be able to do live action, so you’ll be able to see the Super Bowl or the Rolling Stones in IMAX. Knowledge@Wharton: Digital projection is a general trend. You’re now seeing theaters move to digital systems. The “secret sauce” of IMAX has always been how its film stock and projection technology are different than 35mm film projection. How will a digital IMAX differ from digital technology being used elsewhere? Gelfond: With a new generation of “secret sauce.” On the film side, we will have the capability to “up-res” [increase the resolution of] the image, such that the raw data we’re putting into our projector is generations ahead of the raw data going into a 35mm digital projector. We’re using the same processes we use to convert Hollywood films to IMAX films to convert Hollywood digital images into IMAX digital images. So the raw stock, the data, will be “up-res’ed” and a generation ahead. The projection system will also be a generation ahead. We’ve taken some off-the-shelf components and have created something called an image enhancer, which essentially creates, in the digital world, what an IMAX projector does in the film world. And when you combine them, you still have an IMAX image. And you might say, “Gee, that’s interesting. You’re co-CEO of IMAX — easy for you to say.” But we’ve taken our prototype and shown it to test audiences with Millward Brown, a leading market research firm. Virtually everyone who saw it so far said that it’s as good as the film version of the IMAX experience. This presents a tremendous opportunity for us, because one of the impediments to IMAX’s growth has been the cost of our film stock; it’s quite expensive. When we go into the digital world, that cost virtually disappears. Knowledge@Wharton: IMAX also has a process for converting 2-D to 3-D that you used in Superman Returns. Gelfond: Right, and we used it for Harry Potter [more recently]. Knowledge@Wharton: How is that possible? Gelfond: Your vision is basically two 2-D images — that’s the way you see. Your brain converts them into 3-D. So we developed algorithms that take a frame — on a frame-by-frame basis — and render the second image [offset by] the distance between your eyes. Knowledge@Wharton: But you don’t need two cameras, like in the old days of 3-D? Gelfond: No. It’s an art, not a science. How far you space [the images] is how far the objects are in front of you or behind you. So, it takes some independent judgments. Because cameras film motion — things moving from frame to frame — you actually have a pretty good sense of what the other perspective is. We use algorithms that can generate that other perspective. For Harry Potter [and the Order of the Phoenix] we had 150 people working on the 20 minutes for six or eight weeks. It’s extremely labor-intensive. Knowledge@Wharton: But this is all done algorithmically from a two-dimensional source? Gelfond: It’s algorithmic from a two-dimensional source, but there are also artistic judgments involved. Knowledge@Wharton: Is there a difference in image quality between a movie originally filmed with IMAX equipment and a Hollywood movie that has been up-converted to IMAX from a non-IMAX source? Gelfond: In some shots, there’s no difference. In some shots, there’s some difference, particularly with vistas, long shots and wide shots. As an image-capture device, IMAX film has the potential to capture more information than the conversion technology. But, with that said, the IMAX converted image is far superior to the 35mm experience and, for many untrained eyes, not that differentiable from something filmed with an IMAX camera. For a real aficionado or for certain shots, the IMAX still camera provides a unique experience. Knowledge@Wharton: Isn’t Chris Nolan shooting some scenes natively in IMAX for the forthcoming Batman film, The Dark Knight? Gelfond: Yes, and it relates to what I was just saying. For long shots — “wow” shots — you get a color and depth that is some percentage better. The great artists want it to be perfect. And Chris, who is a master, wants it to be perfect. It’ll look great; how much better, I think, will depend on how sophisticated an aficionado of film you are. Knowledge@Wharton: How did it come about that Nolan decided to shoot some scenes in IMAX? Gelfond: We did Batman Begins with Chris. It did very well in IMAX, and Chris got to know our company well. Like many directors, he’s always thinking about the next great thing. He threw around the idea and decided it would be really cool to do it, so he’s doing it. Knowledge@Wharton: Do you see a lot of growth potential in this? Will your company actively advocate for shooting some key scenes — or entire Hollywood productions — through the IMAX process? Gelfond: I don’t think it’s practical, because the IMAX camera is somewhat cumbersome. And the reload times are a lot faster in 35mm. You have to dub the dialog. It’s hard to act in front of it. Remember when I said our [early] strategy was crossover films? We tried to get George Lucas to shoot one of his Star Wars movies in IMAX, and he laughed us out of his office. So I don’t think it’s likely to happen. I think, for select projects and select shots, with directors who are really perfectionists in their art, we’ll see some of it. Knowledge@Wharton: Your stock price has taken quite a tumble lately because of filing delays as you investigate previous accounting issues. Do you think the market response is proportional and appropriate? Gelfond: You know, if I was really good at predicting the values of stock, I’d probably run a hedge fund instead of doing this. I can’t comment on that. But my experience with the market is that it’s always a very “react to the moment” kind of thing. It assesses data at the moment, with the biggest emphasis being on the most recent data. Our business is really on a parallel track in terms of achieving our long-term goals of growing our network. Our first quarter was very good for signings. We announced that our film performance has been fairly strong — very strong on the last movies. We have Harry Potter [in theaters now]. So, in terms of moving forward to our long-term objectives, we’re doing extremely well. I think it really depends on what your time horizon is. If your time horizon is tomorrow morning, it probably fairly reflects what’s going on. If your time horizon is a little bit longer, you’re probably overlooking some important long-term objectives that we’re well on our way to accomplishing. I hope and think that once this situation clears itself up, people will again focus on the business, rather than on some of these short-term issues. Knowledge@Wharton: Are there things that you’ve learned from this experience in terms of handling this type of situation? Gelfond: Yes, and one reason is that we had a different kind of traumatic experience in 2001, when a lot of our clients went bankrupt. I think we learned from that experience. Gelfond: Theater operators, right. Something like 14 chains went bankrupt at that time. We learned how to make the organization have focus. One way Brad and I have taken our definition of co-CEOs and co-chairmen to be effective in this instance is: Brad is spending more of his time day-to-day on some of these financial issues, and he has dedicated people working with him on that. And I’m spending more of the day-to-day making sure that our business doesn’t lose focus and that people in the field — whether it’s on the film side or the theater side — don’t wander off because they’re worried about whether or not financials are being filed. The main lesson we learned is how to keep the organization focused on longer-term objectives and more insulated from the day-to-day issues. Knowledge@Wharton: What are the challenges in managing the IMAX brand? Gelfond: For a small company, IMAX has an incredibly outsized brand that really brings the elements of the business together. People try to replicate parts of what we do, but the brand is really the integrating source. Kids have an experience with IMAX in school when they’re very young. So it’s a brand that gets planted with a meaning pretty early. Some of the people in 35mm have screens that are bigger than IMAX and they have more seats, yet their theaters do a fraction of the IMAX business, and they get extremely frustrated by it. It’s a combination of the projector, the sound system and the film, but the brand becomes the integrating principle. And, like any company driven by a brand, the brand is our boss. We focus on that a lot. When we decide what movies to make, what movies to release or how to market them, we’re incredibly sensitive to that. That’s the one thing we won’t compromise on. That’s why when we introduced the smaller theater or we introduce a digital theater, we do a lot of real-world testing, because the one thing that we’re not going to mess with is the brand. Knowledge@Wharton: Where do you think theatrical presentation of films is going to be in five or 10 years? Gelfond: I think you’ll see a lot of evolution. You’ll continue to see the home as the place of most change. You’ll continue to see [distribution] windows shrink, meaning you’re going to have access to content in the home even sooner than you do versus the theater. I always ask myself: If you’re someone like Rupert Murdoch, who owns Fox and also owns different delivery systems around the world, why is it so important to give 50% of the opening box office to the exhibitor? If he can cut them out and deliver [content] directly to the consumer — especially when they have better ways of viewing it — why isn’t he going to do that? Now the common answer to that is that the theatrical platform is a marketing platform for the other windows. And some of that holds [true]. But, for example, if there was another Star Wars and Fox could charge $50 on the download, and not have to share it with the theater operator on the opening weekend, why wouldn’t you see some kind of blend of that going on? So I think you’ll continue to see big changes there. With the change to digital, you’ll see some changes in the way movies are distributed. The lock that the large studios have on distribution is partly because of physical distribution; you just need the infrastructure and the financial resources to distribute widely. But, as you go digital, you may be able to let smaller and more specialized players distribute in some way. You’ll definitely see more live action. You’ll see more 3-D.
As an example of what I was saying about the barriers coming down, I think you might see more niche programming, more programming directed to different ethnic communities. Or, for example, if there’s a film being made in China, it’ll be easier for it to be marketed and distributed to Chinese Americans — with the marketing happening more online and the distribution in a digital world where you won’t need such an infrastructure. I think you’ll see less screens [in theaters], though, because of all these changes. Knowledge@Wharton: When you talk about how the window will close between the theatrical release and availability for the home and online, isn’t this a challenge to your business model? Gelfond: I think it’s a help to our business model, because people are social animals. Unless they want to handcuff themselves to the couch, mine the driveway and eat Doritos, they’re going to want to do something else. And if you’re going to be able to get the movie at the same time [in your home], when they leave their house, they’re going to want to do something really special. And I think IMAX is going to continue to be that something really special. One of the reasons for our growth is the exhibitors get it. They’re not going to just sit still and let the home steal their audiences. And they’ve been doing things, not only like IMAX, but VIP theaters, which are like home screening rooms in the theater; love seats, so people on a date can sit next to each other; higher-end concessions. I think they’re going to have to evolve their business model. Knowledge@Wharton: How important to your future growth is theatrical presentation in emerging economies — places like India and China? Gelfond: It’s actually been fairly important to IMAX’s growth. A couple of interesting statistics: We have, I think, something like 30 theaters signed and scheduled to open in China in the next several years. We opened our first theater in China only five years ago. There are about six open today. Once [the additional theaters are] opened, we will be the largest foreign exhibition presence in China. China will be our second-largest market in the world, after North America, in terms of the number of theaters. I was in Russia and the Ukraine last week, and our goal there is to have 20 theaters open by 2010. Part of the reason is those areas are under-screened. In Europe and the established economies, it’s hard to find locations and there’s a vested interest in the existing infrastructure, whereas, in these emerging economies, you have an emerging middle class with disposable income. Their basic needs — food and shelter — are being met, so they’re looking for other things to do. At the same time, there’s no vested interest in the old technology. It’s really an open door for us. Some other examples: We have five theaters in Poland that are open today. In South America, there’s a lot of interest. So I think that’s a significant part of our growth. Knowledge@Wharton: Is your plan to shift to digital projection partly to facilitate distribution in these areas? Gelfond: We will be a beneficiary of distribution in those areas because of digital. But there are so many good reasons to go digital. For example, when you convert to digital and you account for the full price of a print in 35mm, it’s about a seven- or eight-year payback. IMAX is something like a three-year payback. I mean, the numbers are just overwhelming. So that might be one reason, but not the primary reason. Knowledge@Wharton: What’s the most amazing thing you’ve ever seen on an IMAX screen? Gelfond: Two or three things come to mind. We did a film called Rolling Stones at the Max and it really feels like you’re on stage with the Rolling Stones. I’ve been to screenings of this where people stand on their seats and light lighters [for an encore]. It’s really incredible. A second, which is one of my favorites, is that we fly our cameras with NASA into space. The last one we did was called Space Station 3D. I’m personally very involved in that, because besides business, it’s also a bit of a passion. I talk to the astronauts and they say that when they forget what it’s like to have been in space, they go to the IMAX theater. Because that’s exactly what it’s like.